Once you’ve finished all your research, browsing and shopping, finally settling on the perfect floor covering for your home, the next feasible step is a professional installation. This brings everything together perfectly, leaving you nothing to worry about, but showing off that beautiful new floor. Still, some homeowners believe they can install their own flooring just as easily. While it’s true they may be completely ready to do the job themselves, there are many other things they might not have thought about. Chillicothe Carpet has always placed great importance on customer satisfaction. Whether you’re simply looking for the perfect floor covering, or the perfect flooring experience, we stand ready to assist you, as we have others from the Ross, Pickaway, Pike, Vinton, and Jackson areas. You can stop by our showroom in Chillicothe, OH at your convenience, to get your own flooring process started. We look forward to helping you any way that we can. Some floor coverings are easier to install than others. However, when it comes to some materials, a professional flooring installation is always your best bet. Hardwood flooring is one of those materials. Not only does the wood have to acclimate to your specific surroundings, it takes specialized tools to get the job done correctly the first time. The same is true for carpeting. If you don’t have the specialized tools it takes for seam connecting, carpet stretching, and installation on stairs, then you’ll surely have problems later on down the line. 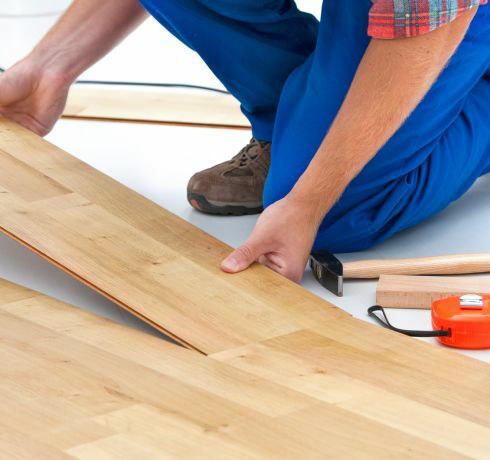 It’s better to simply have the professional flooring installation done from the start. It can actually wind up saving you lots of money in the event that there is a problem at some point. Another reason professional installation is the better route is that some manufacturers will not honor their warranty if professionals didn’t install their product. So if you install a brand new expensive carpet that winds up bunching up, coming apart at the seams, or wearing unevenly, there will be nothing you can do to get assistance. That means you’ll be out the expense for all new carpeting, right out of pocket. Professional installation can seem like it’s not “worth it”, but believe us when we say, it surely is. When you stop by our showroom, be sure to ask about even more details. We’ll be happy to share them with you.